Zomboy & MUST DIE! 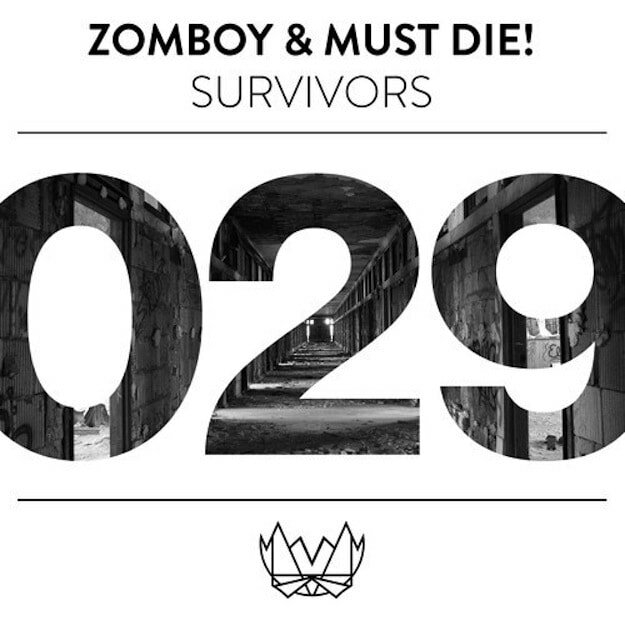 - "Survivors"
The world of gnarly dubstep isn&apos;t one that I totally understand - nor do I ever expect to fully understand. I&apos;ve been listening to these sounds for years though and have continually wrestled with the philosophical implications of said music and am often at a loss. Skrillex&apos;s "Scary Monsters And Nice Sprites" was one of the first tracks of its kind I fully understood, though, and that&apos;s because despite the jarringly abrasive sound design, the track had an undeniable pop feeling to it and an eviscerating emotion not unlike that of a 16-year-old lashing out at the absurd world we live in. Zomboy and MUST DIE! are two artists who latched on to that massive sound and have since made a career out of continually re-inventing it. That&apos;s why they&apos;re "survivors." This collaboration continues in the gnarly dubstep sound trend and shows the sound hasn&apos;t been left for dead. Now surely this doesn&apos;t have the same pop sensibility of Skrillex&apos;s tunes, but it&apos;s still quite a banger in it&apos;s own right and is sure to blast any bass bin to oblivion. Grab this freebie via OWSLA&apos;s NEST.